Podesta has, indeed, been the main organizer, money manager, and policymaker for the American left since Clinton left office in 2001. He founded the Center for American Progress (CAP), the left-wing think tank that supplies policies and personnel to the Obama administration. He also advised former Secretary of State Hillary Clinton and worked with a variety of left-wing groups and donors, including ACORN and George Soros. Andrew Breitbart memorably clashed with Podesta during the ACORN scandal. Podesta, who sat on ACORN’s Advisory Council, conducted an internal investigation that concluded the group had not broken any laws. Breitbart accused Podesta of using the “politics of personal destruction” to attack ACORN’s critics through his various groups. 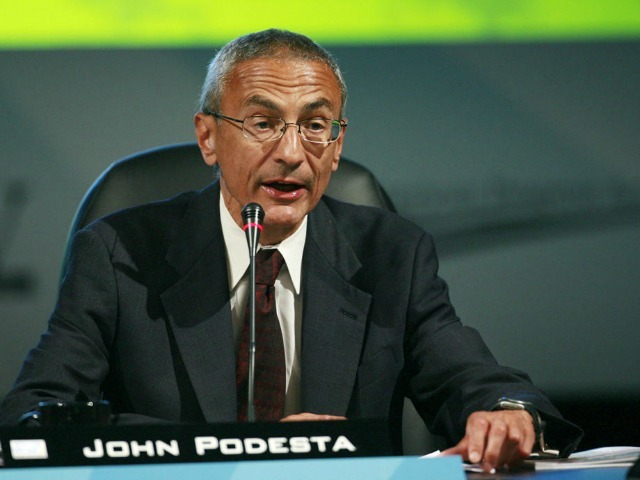 The fact that Obama has reached out to Podesta for formal services, rather than informal assistance, is a sign of how deeply troubled his administration has become. The ongoing failure of Obamacare threatens Obama’s own legacy as well as the political chances of whoever seeks the Democratic nomination in his wake. As much as Obama styled himself as a break with the politics of the past, he has turned to the past to save his own future.